CARACAS, April 10. /TASS/. 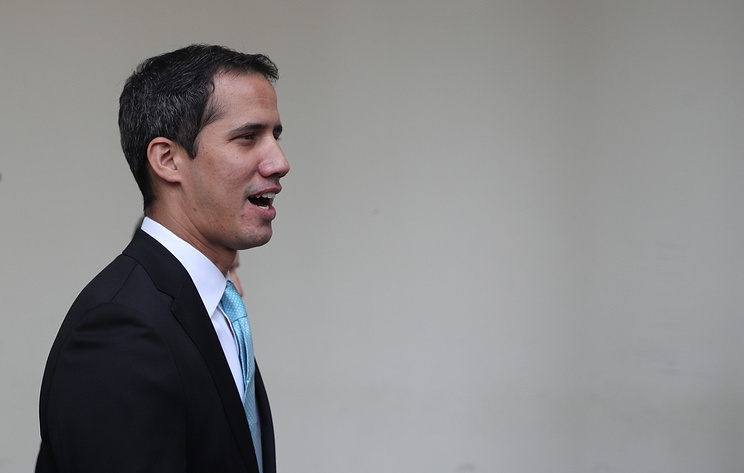 The fact that the Organization of American States (OAS) recognized Gustavo Tarre Briceno as Venezuela’s envoy will help activate mechanism of increasing pressure exerted at the country’s authorieis, Venezuelan opposition leader Juan Guaido said on Tuesday. “We managed to stop usurpation in the OAS and will continue this effort in Venezuela itself,” Guaido wrote on his official Twitter account. “Now we can activate even more mechanisms to exert pressure on the dictatorship in order to achieve freedom. We represent a progressive alternative for Venezuela because we have support of the international community,” he added. The Venezuelan Foreign Ministry described the OAS’ recognition of the envoy appointed by Guaido as “flagrant manipulation, blackmailing and exerting pressure on member countries” with the aim of implementing Washington’s plans. The foreign minister announced Venezuela’s withdrawal from the OAS starting from 27 April 2019. On January 23 Venezuelan National Assembly Speaker Juan Guaido proclaimed himself as the country’s acting president. Venezuelan President Nicolas Maduro has described it as a coup attempt and announced severing diplomatic relations with the United States. On January 28 the US imposed sancitons on Venezuela’s state-owned PDVSA oil company. Hey Buddy!, I found this information for you: "Guaido says OAS recognition of his envoy signals new ways to exert pressure on Maduro". Here is the website link: https://russophile.org/guaido-says-oas-recognition-of-his-envoy-signals-new-ways-to-exert-pressure-on-maduro/. Thank you.